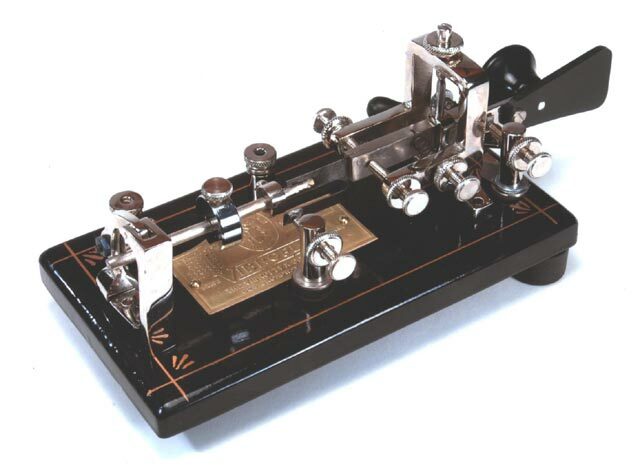 W.R.SMITH, W4PAL does the finest telegraph key restorations that I have ever seen. 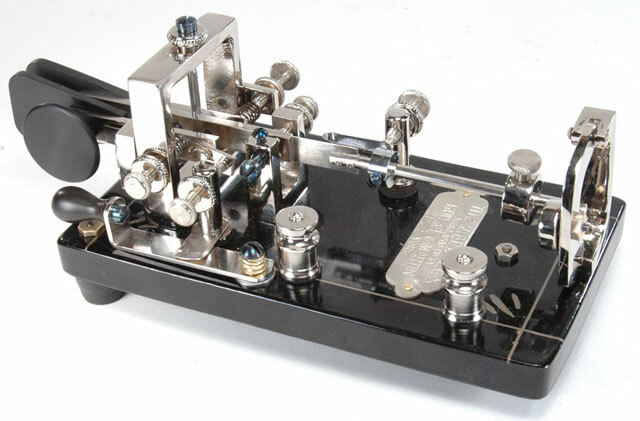 This is not surprising because he is a famous and world-class clockmaker and has published widely on the art and technology of building fine clocks. His new book makes all of his techniques available to any collector. After about six months of constant shop work, digital photography and writing, WR has finally completed his book for key collectors. 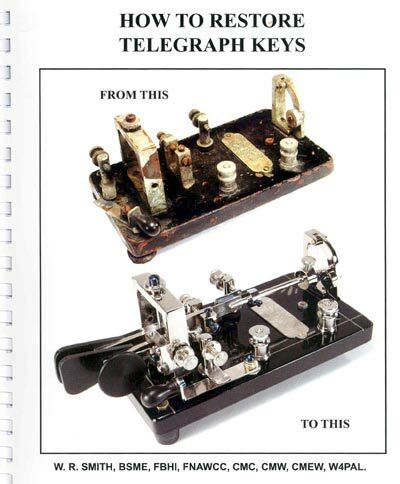 It is entitled: HOW TO RESTORE TELEGRAPH KEYS, and he now has a limited number of copies available. The book is 8-1/2" x 11". It has 107 pages and contains 254 high quality color photographs illustrating the various topics being described. 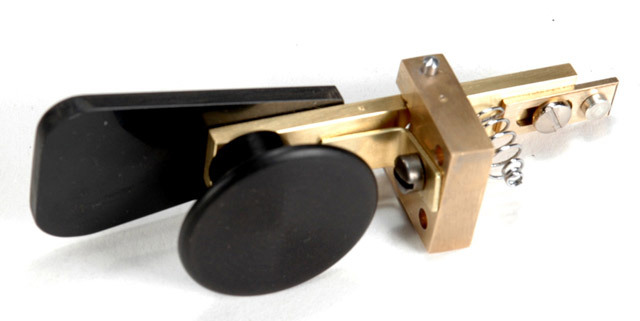 It offers a way to clean speed keys without doing the harm that results from washing one in the kitchen sink. Many "how to" processes are described. 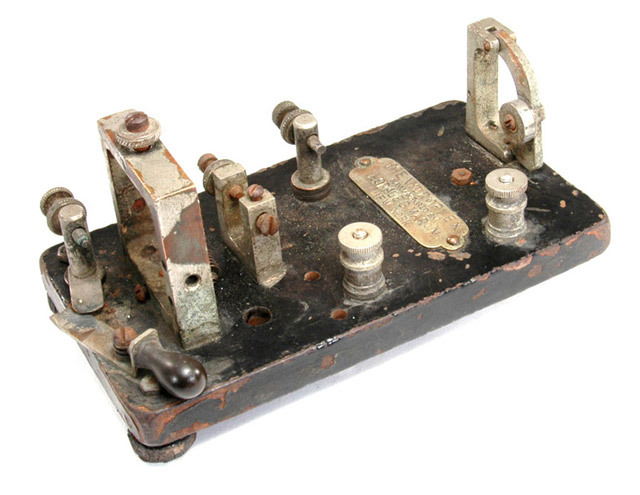 They include: how to dissolve broken steel screws in brass key parts, make cylindrical and cubical key weights, shorting levers, bearing screws, rope knurled thumbscrews and thumbnuts, new dot contact assemblies, paddles, nickel plate key parts in the home shop, mix varnish and re-japan key bases, replace broken mainsprings, make shorting levers and their knobs, wind springs, heat blue screws, remove rust from parts, coat parts to avoid future rust, remove or reposition dot bars on arbors (trundles), make dash levers, make pendulum assemblies, make thumbscrew posts, make strip conductors and their insulators, where to order rubber feet, tools, materials, etc. The items are simply too long to list. 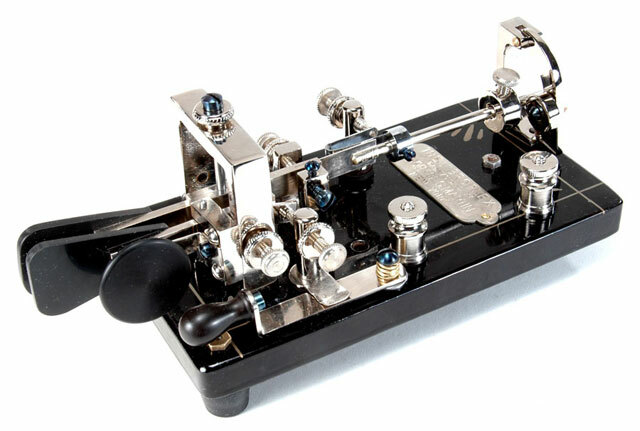 The complete rebuilding of a couple of basket case speed keys and the total restoration of a large number of others are illustrated. 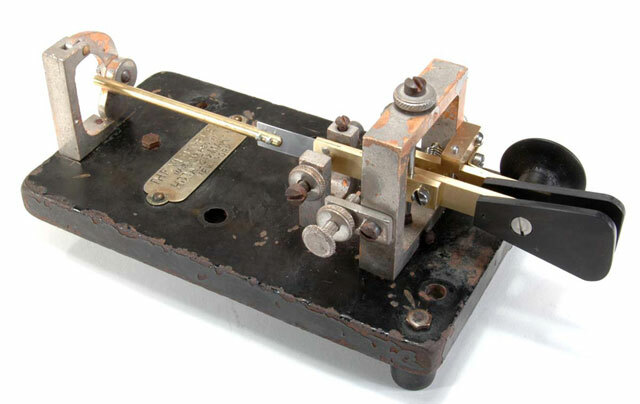 A chapter describing the three vertical speed keys that WR has recently designed and built is also included. 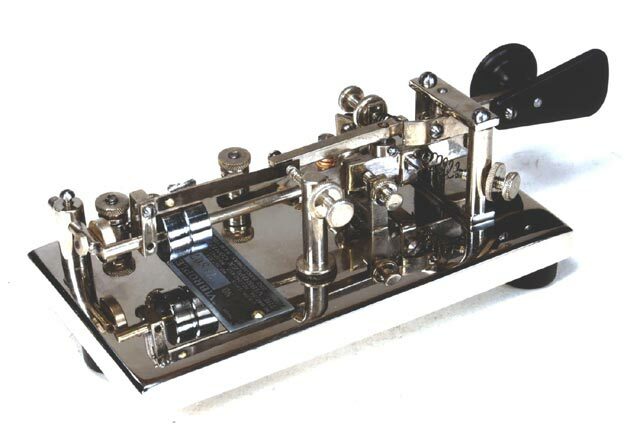 WR has drawn on his 70 years of watchmaking, clockmaking and 40 years of mechanical engineering to offer what will prove to be the bible of key work for key owners and collectors. 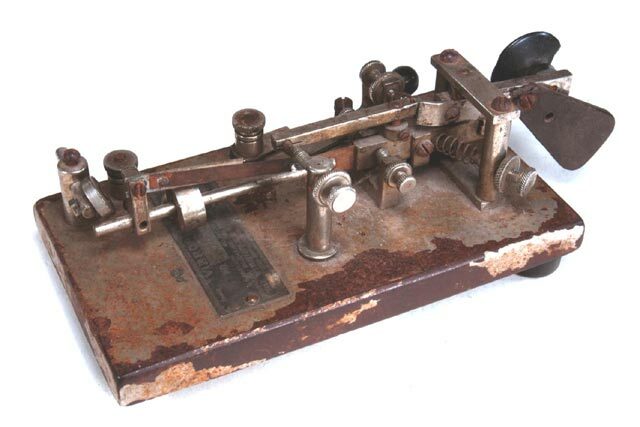 You may order WR's book: HOW TO RESTORE TELEGRAPH KEYS for $60.00 (Priority Mail postpaid). Ordering information is below. Each book will be signed and numbered. Only 100 copies are being printed. Whether any more will be printed will depend on demand. W. R. (Bill) Smith, BSME, FBHI, FNAWCC, CMC, CMW, CMEW, W4PAL. Awarded: Metal Working Craftsman of the Year 2000 by the Joe Martin Foundation for Exceptional Craftsmanship. 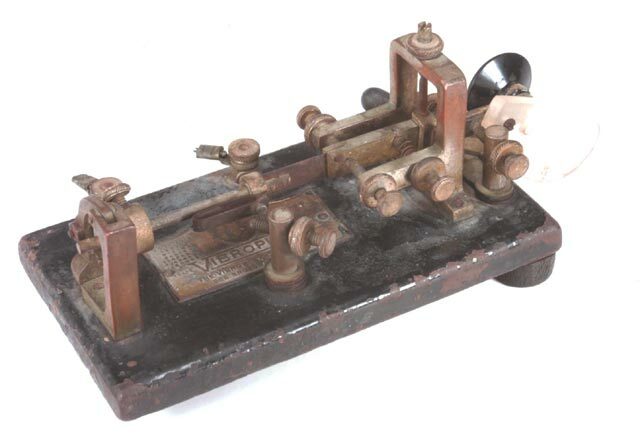 WR has been kind enough to send me some before and after photographs of some of his telegraph key projects. 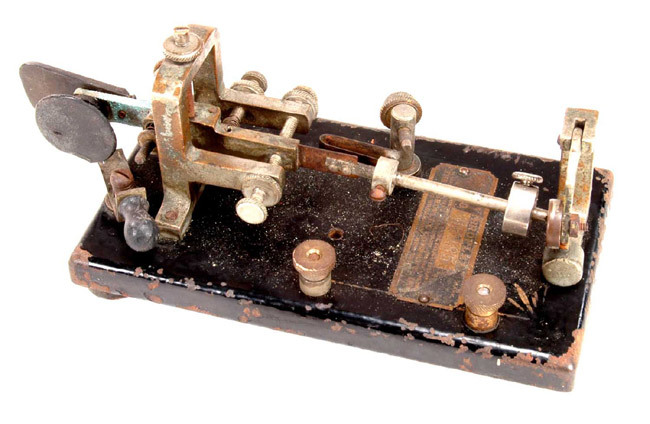 They are displayed below: Most of us would consider the 'before' photos of these telegraph keys to show hopeless basket cases but the worse the key looks, the better W.R. likes the challenge of restoring it and I think you will agree with me that his restorations are truly phenomenal. 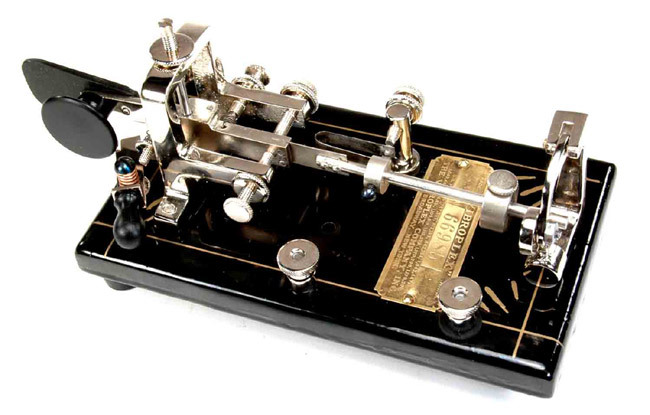 As a long-time radio amateur, he originally applied his fine clockmaking skills to restoring keys for his own collection but recently, he has documented his restoration techniques and presented them in his new book.